The Valley shown above holds the North Puyallup River (a new river, my 1096th, my 92nd watershed with the word “North”); on to the Puyallup (3rd hit); on to Puget Sound (10th hit). 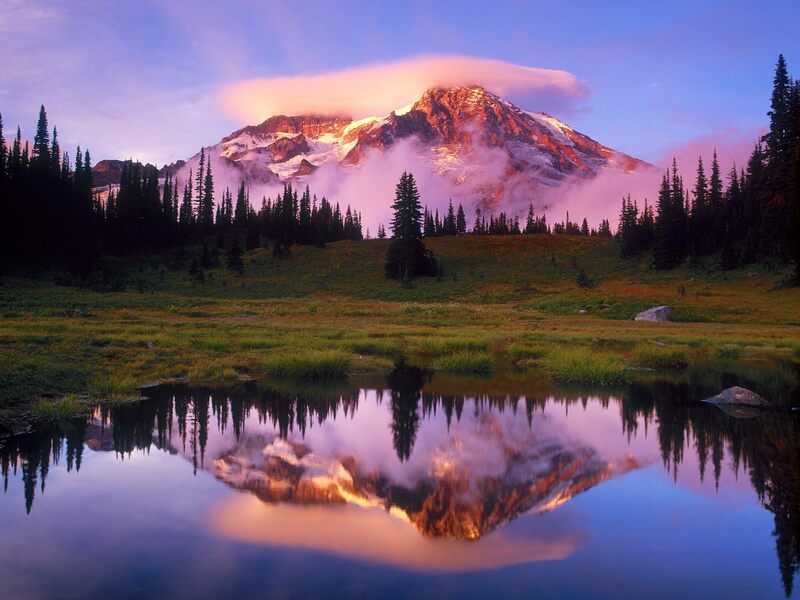 Mount Rainier is a massive stratovolcano located 54 miles southeast of Seattle. 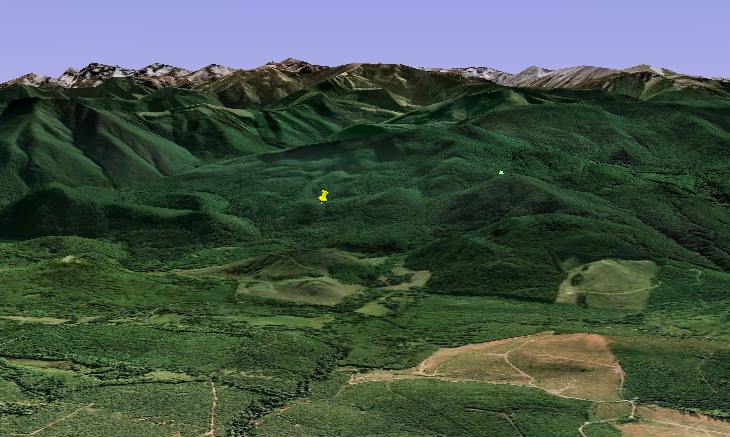 It is the most prominent mountain in the contiguous United States, with a summit elevation of 14,411 feet. Mt. 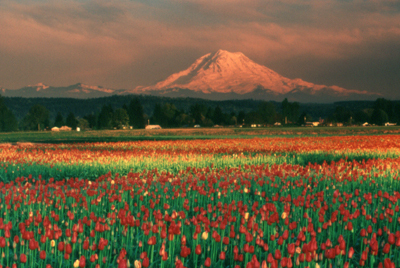 Rainier is considered one of the most dangerous volcanoes in the world, and it is on the Decade Volcano list. 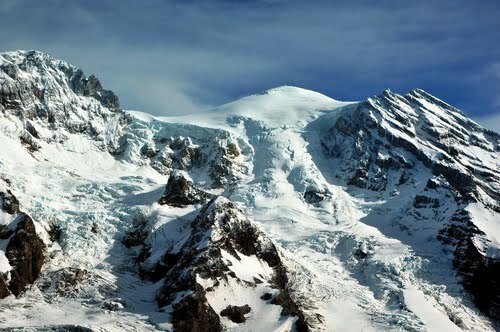 Because of its large amount of glacial ice, Mt. 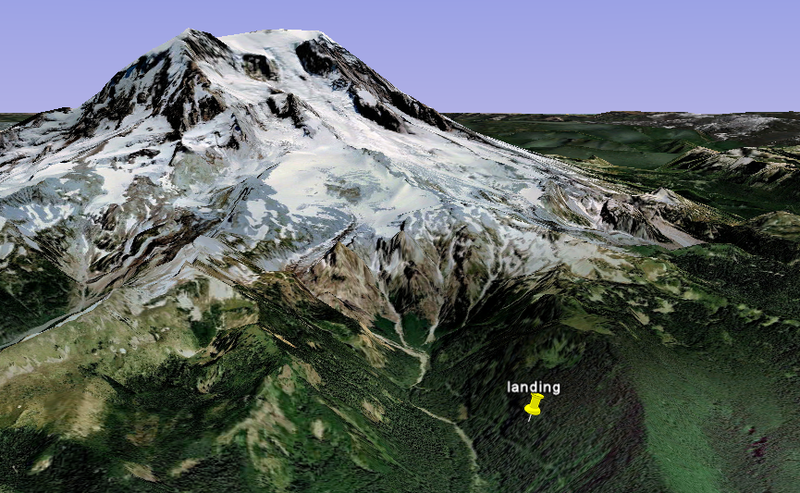 Rainier could potentially produce massive lahars that would threaten the whole Puyallup River valley. Well, I’ve got plenty to work with, just understanding all that was said in Wiki’s first paragraph. OK, so what’s a stratovolcano? I’m a geologist, and I don’t know. So, a little research shows that the “strato” part refers to layers of various kinds of volcanic rock that make up the bulk of the volcano. Classic beauties like Mt. Fuji, Mt. 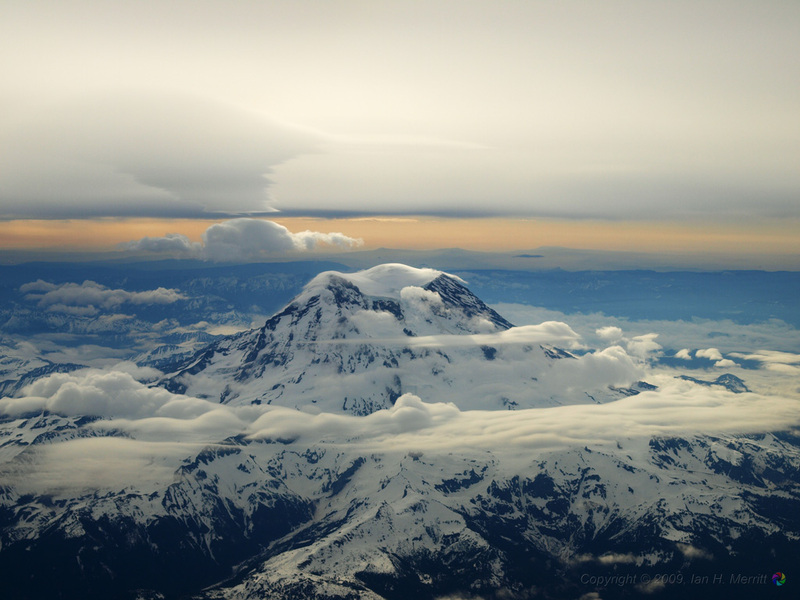 Rainier and Mt. Hood are stratovolcanos. But here’s the rub. Website after website goes on to say that the stratovolcano eruptions are explosive. How in the heck do we end up with beautiful cones like Rainier and Fuji if the volcanoes blow their tops? Evidently, Crater Lake used to be a stratovolcano (comparable to Rainier) that blew its top. Mt. St. Helens used to be a beautiful cone until it blew out one side of the mountain. Krakatoa obliterated itself. 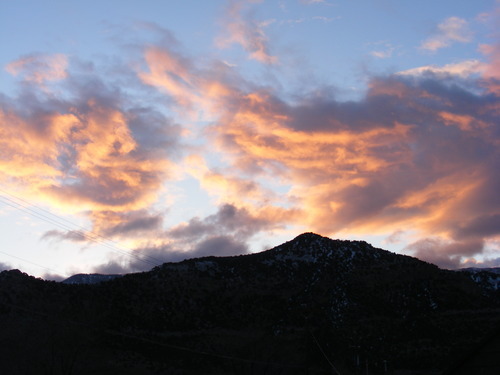 So, the less-than-lucid websites I looked at (USGS, Wiki, San Diego State University and 4 or 5 others) all leave an unanswered question: namely, how do these tall, stately mountains get so tall and stately? The answer to me is that they must have minor eruptions that build the volcano rather than blow it up. But none of them talk about that, and I don’t recall hearing about eruptions making this type of volcano taller and taller. It’s just doom and gloom about massive, destructive eruptions. Any volcanologists out there who can help me with this? 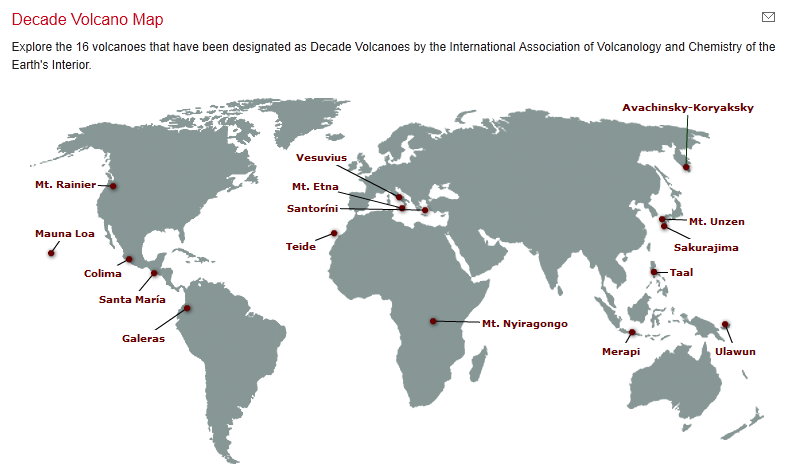 The Decade Volcanoes refer to 16 volcanoes identified as being worthy of particular study in light of their history of large, destructive eruptions and proximity to populated areas. The Decade Volcanoes project encourages studies and public-awareness activities at these volcanoes, with the aim of achieving a better understanding of the volcanoes and the dangers they present, and thus being able to reduce the severity of natural disasters. They are named Decade Volcanoes because the project was initiated as part of the United Nations-sponsored International Decade for Natural Disaster Reduction. 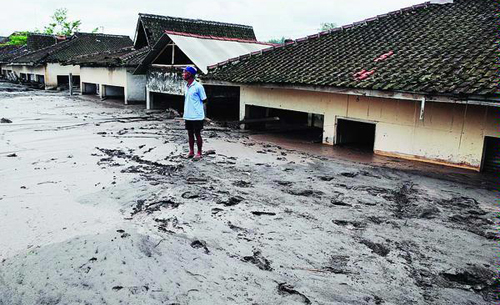 A lahar is a type of mudflow or debris flow composed of a slurry of pyroclastic material, rocky debris, and water. 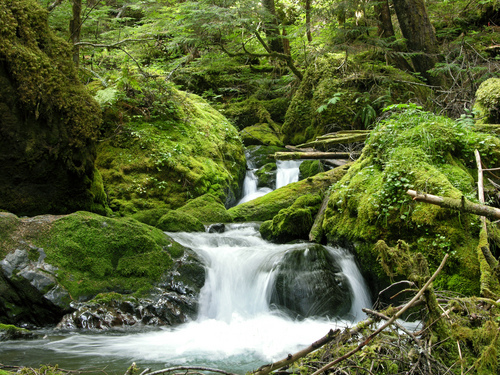 The material flows down from a volcano, typically along a river valley. The term is a shortened version of “berlahar” which originated in the Javanese language of Indonesia. Lahars have the consistency, viscosity and approximately the same density of concrete: fluid when moving, then solid when stopped. Lahars can be huge: the Osceola lahar produced 5,600 years ago by Mount Rainier in Washington produced a wall of mud 460 ft deep in the White River canyon (a tributary of the Puyallup) and covered an area of over 130 sq mi. A lahar can bulldoze through virtually any structure in its path. Unlike water, a lahar is capable of carving its own pathway, making the prediction of its course difficult. 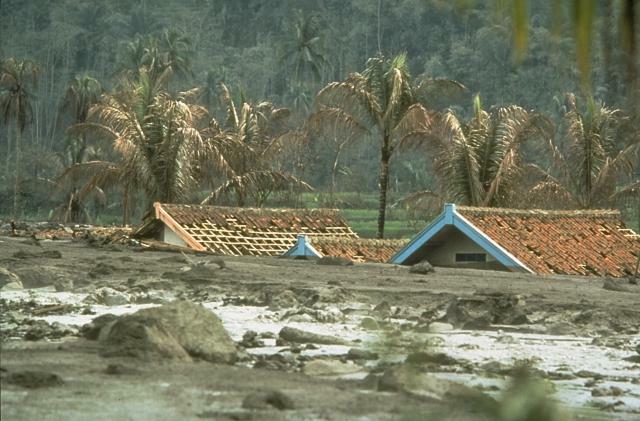 A lahar quickly loses force when it leaves the channel of its flow: even frail huts may remain standing while being buried up to the roof with mud. Lahar flows are deadly because of their energy and speed. Large lahar flows move at approximately 60 mph, can flow for more than 200 miles, and can cause catastrophic destruction in their path. Here’s a photo showing how a lahar turns to “concrete.” Imagine try to clean this up . . . So, lots of folks are worried about the 150,000 or so people that live in the possible path of lahars around Mt. Rainier. Here’s a picture of the danger areas. 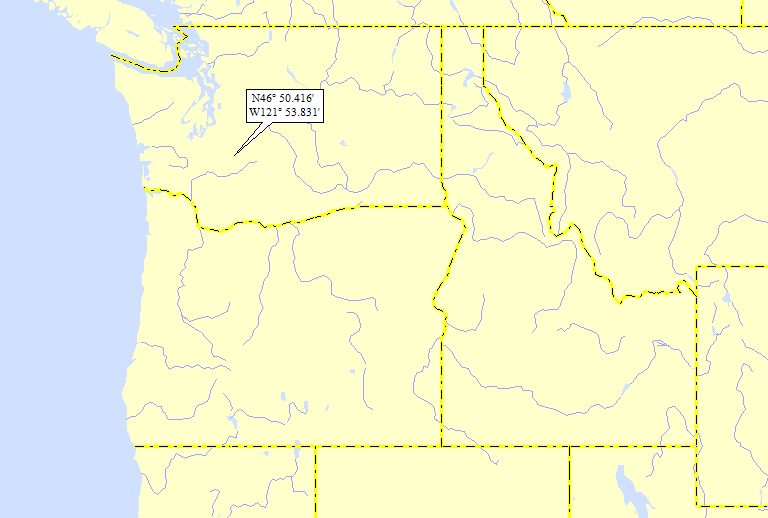 Note the North Fork of the Puyallup (where I landed). The Mount Rainier Volcano Lahar Warning System is a loose-knit, emergency notification and warning system developed by the United States Geological Survey in 1998, and now operated by the Pierce County Department of Emergency Management and several cities. It is supposed to assist in the evacuation of the Puyallup River Valley in Washington state in the event of a volcanic eruption from Mt. Rainier. Man. If I were writing the Wiki article, I would replace the word “supposed” with “designed” . 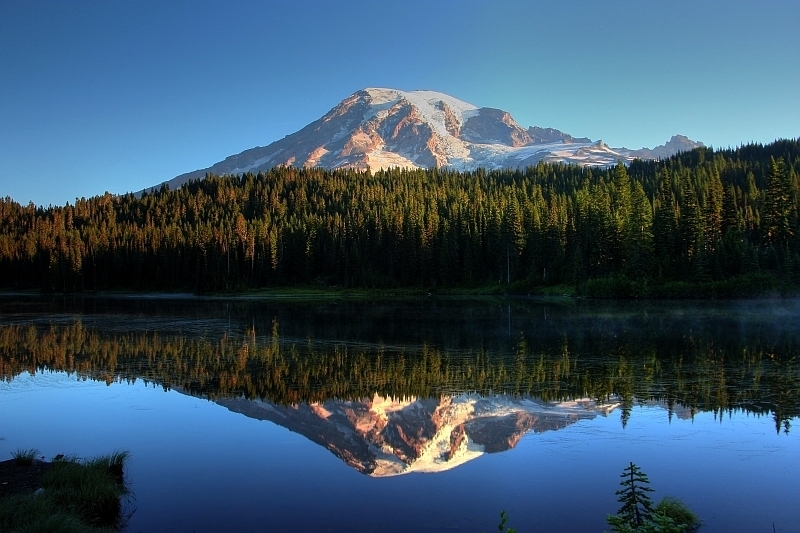 . .
Mount Rainier was first known by the Native Americans as Talol, or Tacoma, from the Lushootseed (“mother of waters”) spoken by the Puyallup Indians. 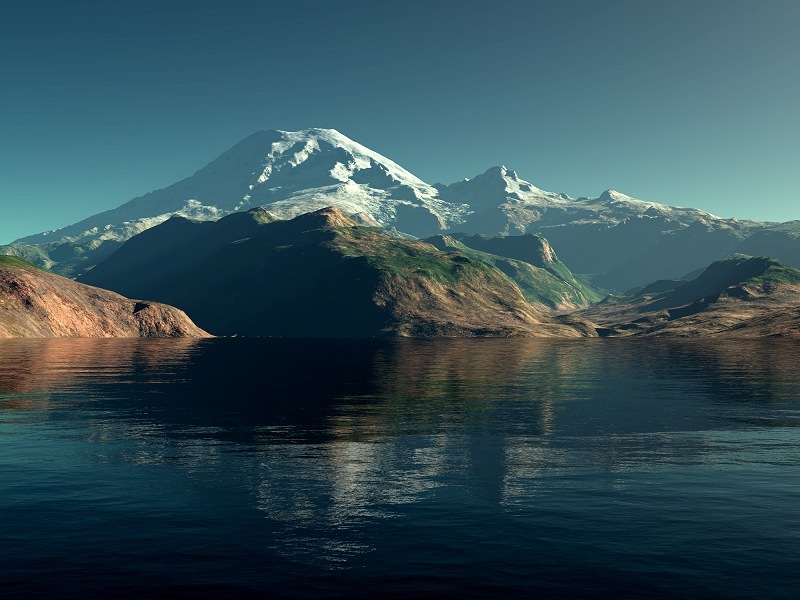 Captain George Vancouver reached Puget Sound in early May 1792 and became the first European to see the mountain. He named it in honor of his friend, Rear Admiral Peter Rainier. Dan – Gee whiz. I just keep landing in Western OSers (aka WBers, a term not used for a long time). This time, it’s . . . UT; 69/54; 2/10 (2/14); 9; 158.2. My improbable backwards march to 160 continues. 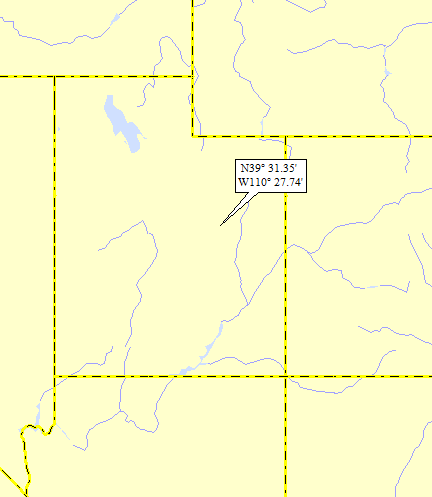 Of my last 15 landings, 13 have been in western states. OK, OK, so 60% of the lower 48 land area is in these western states, so, of course, one would expect more landings there. But 13 of 15? No way . 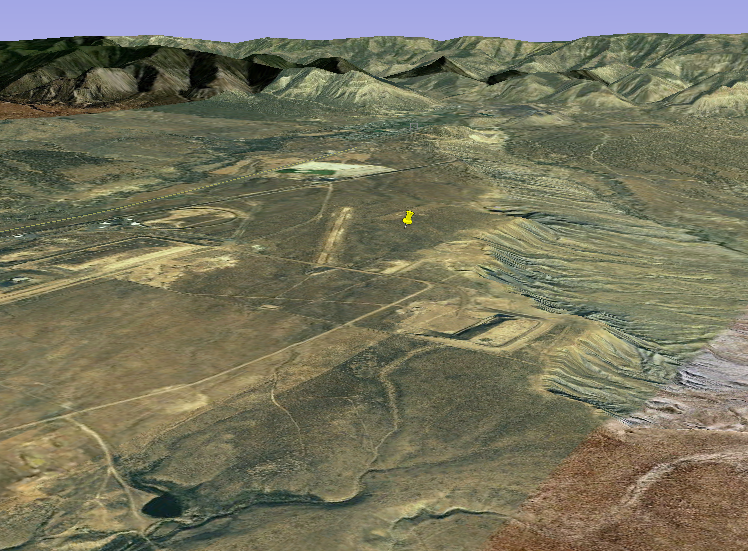 . .
My GE shot shows that I landed on a plateau, not far from a eroded slope to the south. 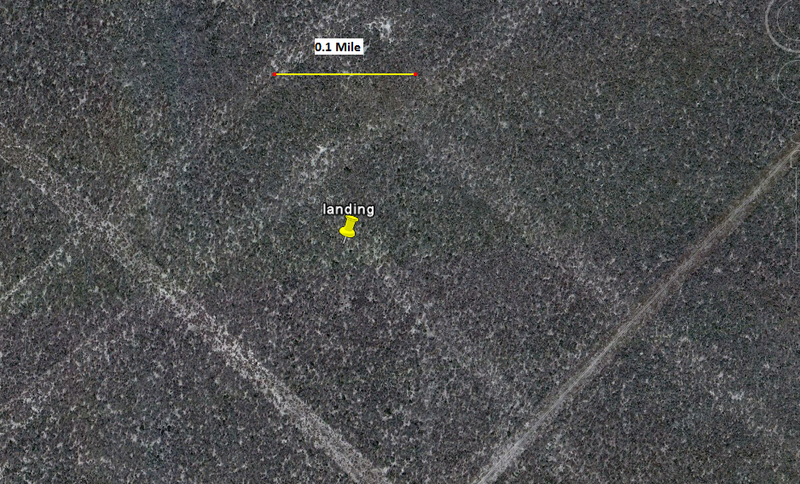 By the way, the straight line just northwest of my landing, is appropriately enough, a landing strip. The various man-made features I’m sure have something to do with coal mining. Here’s an oblique GE view, looking east past my landing, and past the various towns to the mountains, under which lies the coal. I landed in the Icelander Creek watershed. 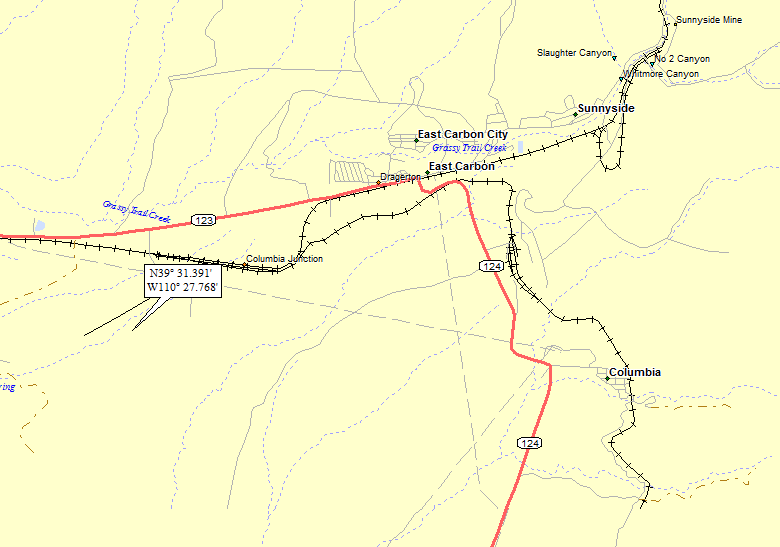 I have no clue how a little creek in Utah ended up with the name “Icelander.” Anyway, the Icelander discharges to Trail Creek, on to the Price R (3rd hit); on to the Green R (28th hit); on to the Colorado (159th hit). East Carbon City had its beginnings in fall 1942, when the U.S. government – through the Defense Plant Corporation–awarded a contract to the W.E. Ryberg-Strong-Grant Corporation to develop the town at a planned cost of $5 million. It was originally named Drager, after W.L. Drager, chief engineer for the Defense Plant Corporation, who was raised in Utah and later moved to Washington, D.C.
Wiki really drops the ball here. 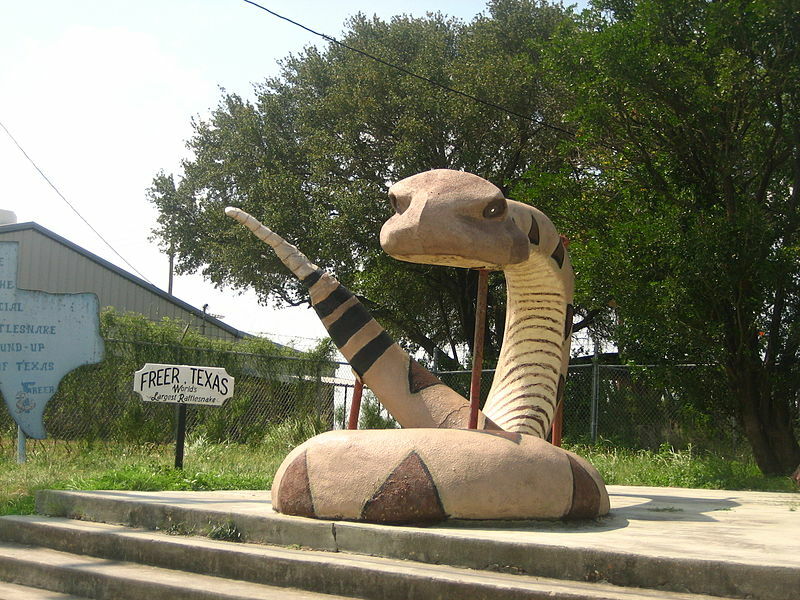 What is the Defense Plant Corporation, and why did they put up $5 million to build a town? I had to do some additional research. From Dragerton.net, I discerned that the Defense Plant Corporation was found in 1938 by the Federal Government to build crucial war industries. Interesting – way back in 1938, some folks saw that we had better start preparing. So anyway, the Defense Plant Corporation decided that the greater Provo UT area was a good spot to build a steel mill. 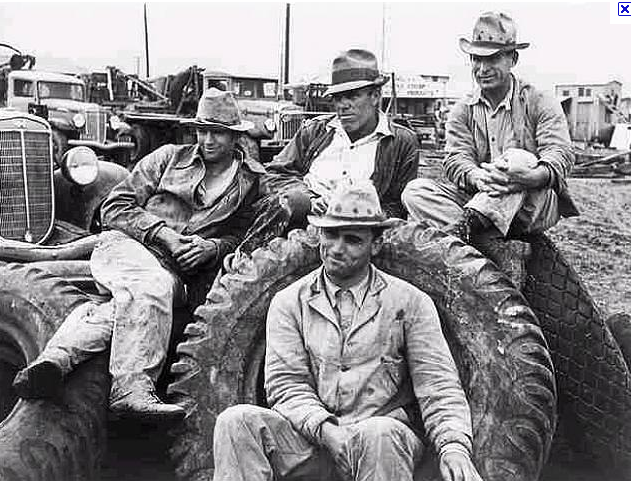 They realized that a huge steel mill would require a lot of fuel – i.e., coal. Because East Carbon isn’t far from Provo and because there’s a lot of carbon in East Carbon, they decided to build a town to house all of the miners needed to yank all of that carbon out of them thar hills. So, voila . . . Dragerton. 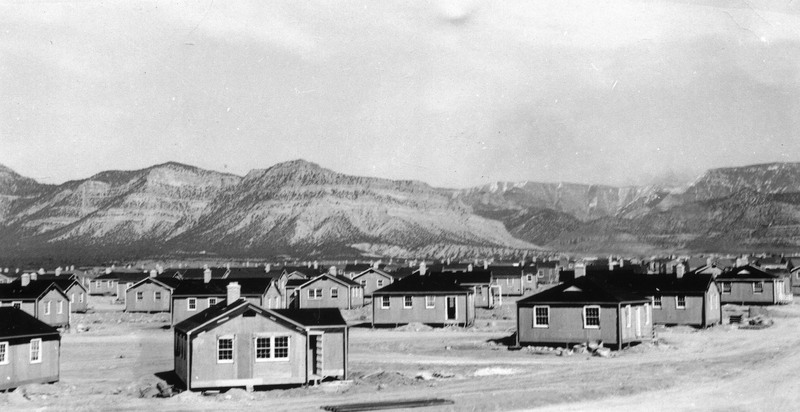 In 1942, during ceremonies celebrating the new town, it was announced that the postal service would not allow the name of Drager. 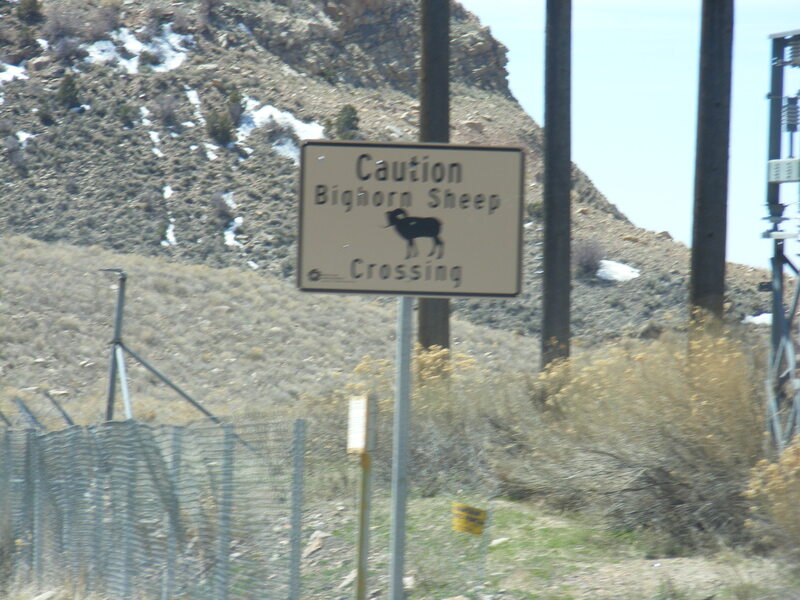 Its contention was that Drager was too similar to the name Draper (another Utah community), and would create confusion and delays in mail delivery. 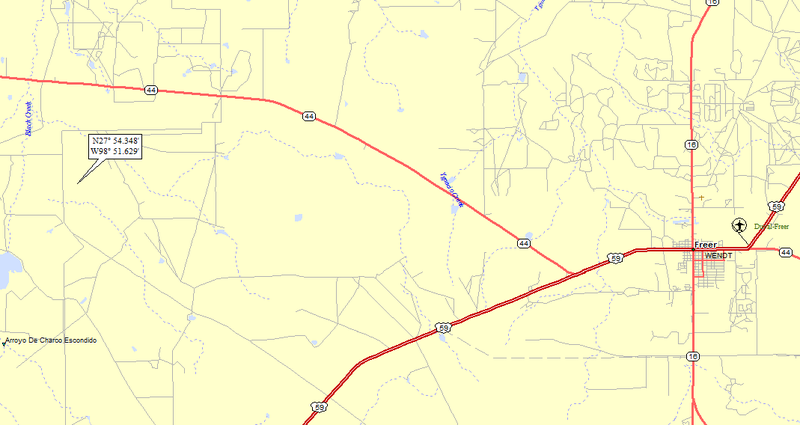 The post office proposed Dragerville, Dragerton, and Drager Town; Dragerton, a derivative of Drager-town, was selected. In the late 60’s with the area near its peak population, the Carbon School District decided to build a high school in the area. The cities of Dragerton and nearby Sunnyside competed for the school placement. 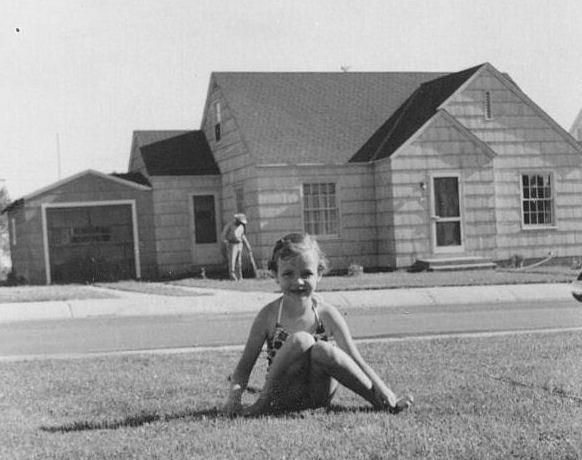 In the end, it was built just over the boarder in Sunnyside. To minimize rivalry concerns between Dragerton & Sunnyside, the school district named the school East Carbon High School as it was in the eastern portion of the county. 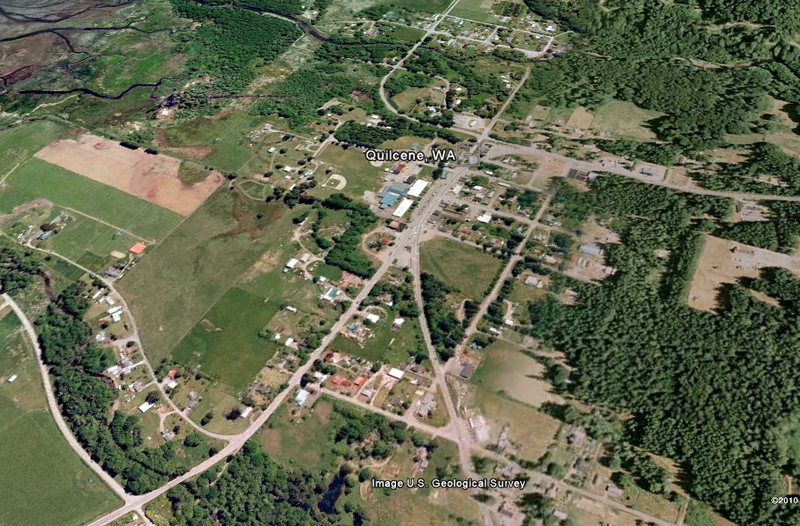 As a result, when the town was incorporated in 1973 the name was officially changed to East Carbon City. Here’s a shot after the all-American families moved in . 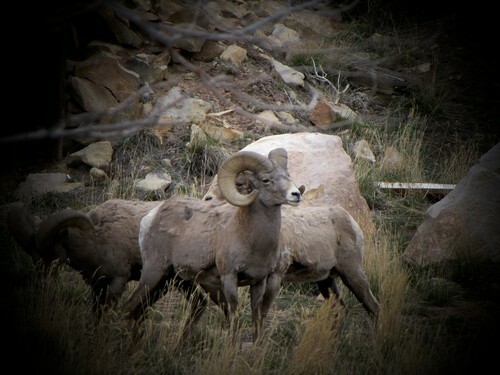 . .
And here are the real McCoy . . .
First timer? 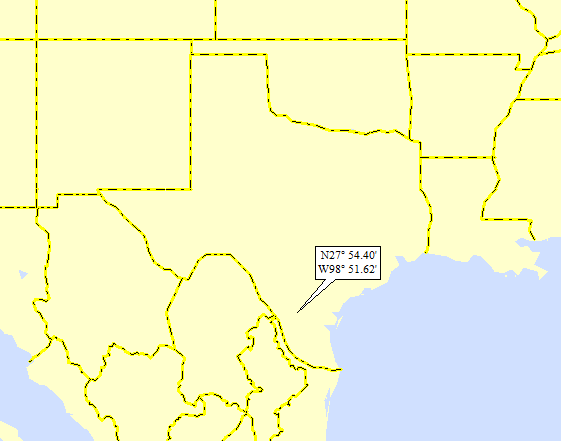 In this formerly once-a-day blog (and now more like a once a week blog), I have my computer select a random latitude and longitude that puts me somewhere in the continental United States (the lower 48). I call this “landing.” I keep track of the watersheds I land in, as well as the town I land near. 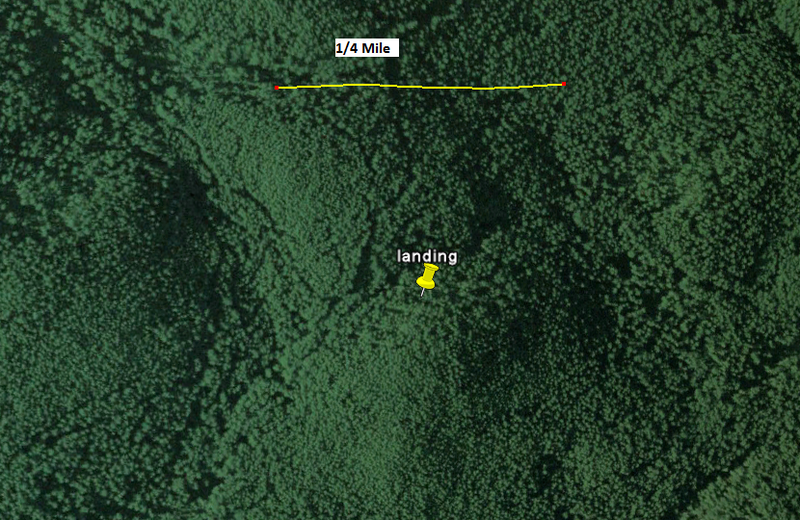 I do some internet research to hopefully find something of interest about my landing location. To find out more about A Landing A Day (like who “Dan” is and what the various numbers and abbreviations mean in the first paragraph), please see “About Landing,” (and “Abbreviations” and “Cryptic Numbers”) above. Dan – While I’m in the middle of OSer misery, what better state to land than the granddaddy of all OSers . . . MT; 114/94; 2/10 (2/13); 8; 157.8. Gee whiz. Eons ago (May of 2010, 79 landings ago), my Score was 150 even. Now it looks like I’ll hit 160 before I work my way down to 150 (which, LG willing, I will do). 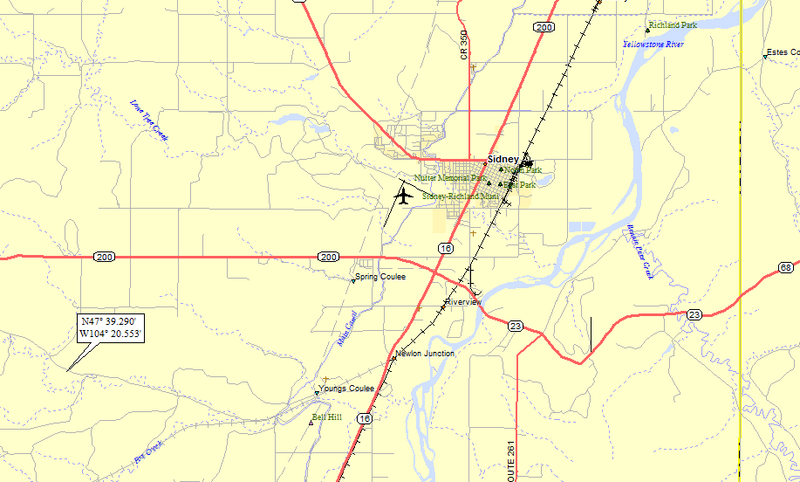 I landed in the North Fork of the Fox Creek watershed (my 91st watershed name with “North” in it); on to (of course) Fox Creek, on to the a fore-mentioned Yellowstone River (48th hit); to the Missouri (363rd hit); to the MM (772nd hit). 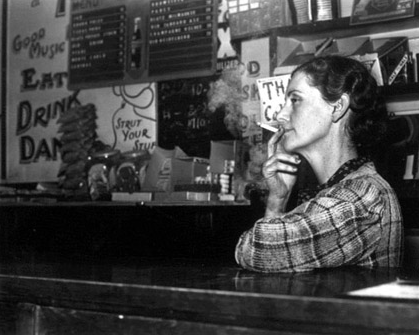 Settlers began arriving in the area in the 1870s, and a post office was established in 1888. Six year old Sidney Walters and his parents were staying with Hiram Otis, the local justice of the peace, and Otis decided that Sidney was a good name for the town. 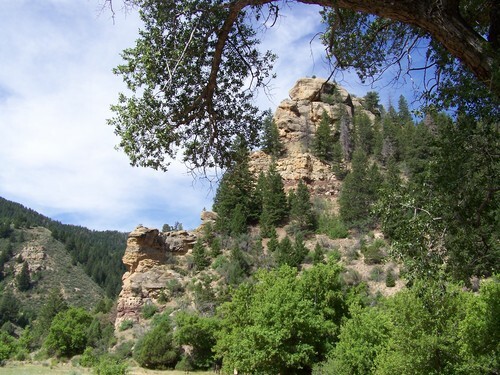 The following year, Montana became a state; Sidney was incorporated in 1911. Agriculture dominated the area economy starting with a 1909 irrigation project that brought water from the Yellowstone River. 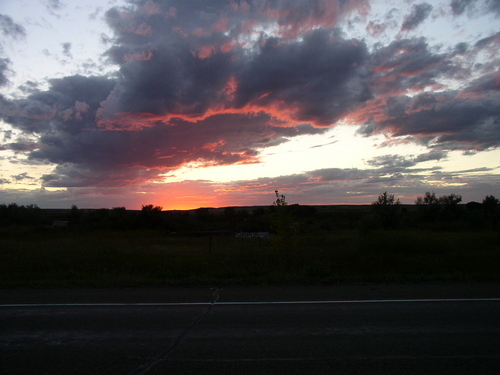 The area experienced an oil boom and bust in the late 1970s and early 1980s, bringing an influx of people to the town for a short period of time. At the turn of the century [emphasis mine], the town started experiencing another surge in oil exploration activity. How about that! I guess we’re at that point where “turn of the century” (as used in the above paragraph) can mean the year 2000! I’ll guess I’ll just have to get used to it . . .
First timer? 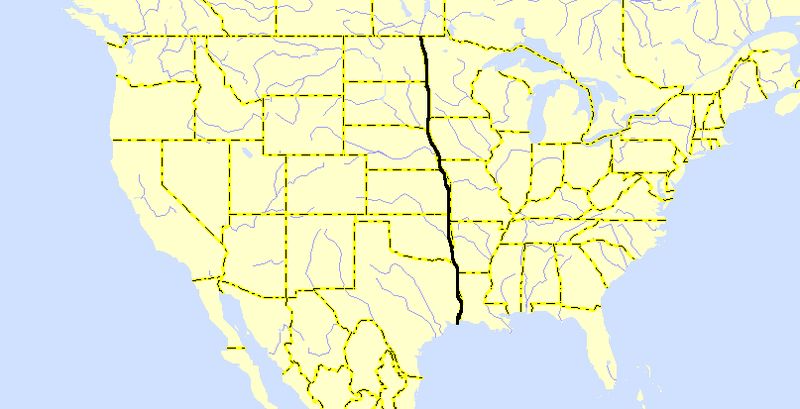 In this formerly once-a-day blog (then every-other-day blog and now a one-to-three-times a week blog), I have my computer select a random latitude and longitude that puts me somewhere in the continental United States (the lower 48). 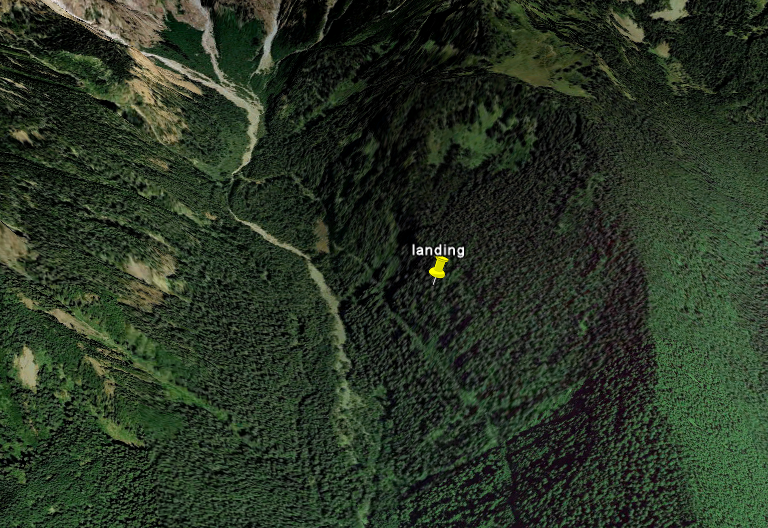 I call this “landing.” I keep track of the watersheds I land in, as well as the town I land near. 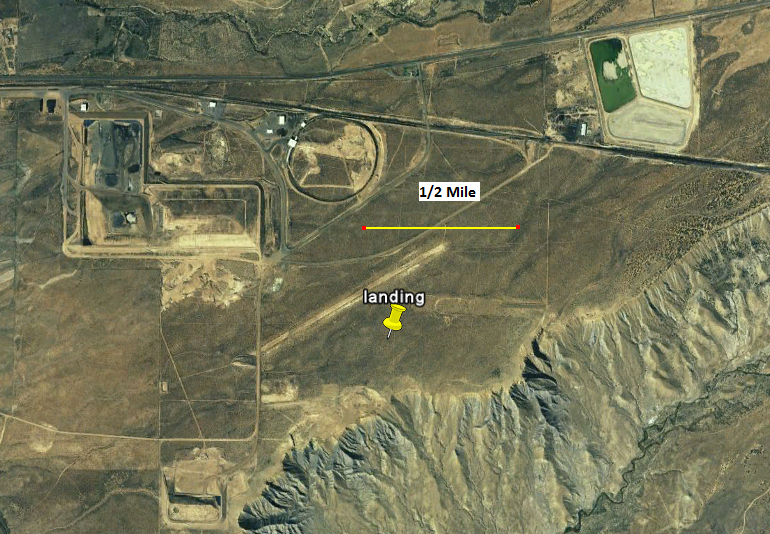 I do some internet research to hopefully find something of interest about my landing location. To find out more about A Landing A Day (like who “Dan” is and what the various numbers and abbreviations mean in the first paragraph), please see “About Landing,” (and “Abbreviations” and “Cryptic Numbers”) above. 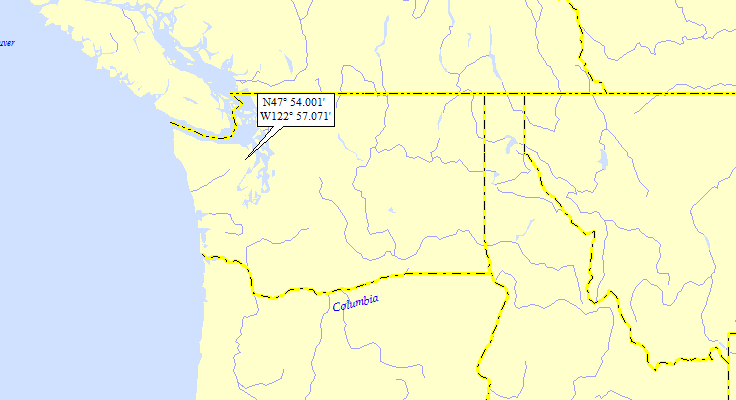 I landed in the watershed of a new river, the Little Quilcene (my 1095th river, and the 93rd watershed name with the word “Little”). The Little Quilcene flows into Quilcene Bay, which is an arm of Hood Canal, which (as I discuss later in this post) is part of Puget Sound. Early inhabitants of the area were the Twana, inhabiting the length of the Hood Canal, and rarely invading other tribes. 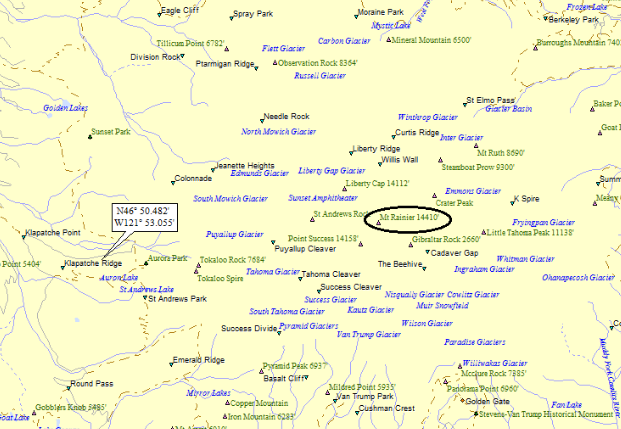 The Quilcene (“salt-water people”) were a distinct band of these people. 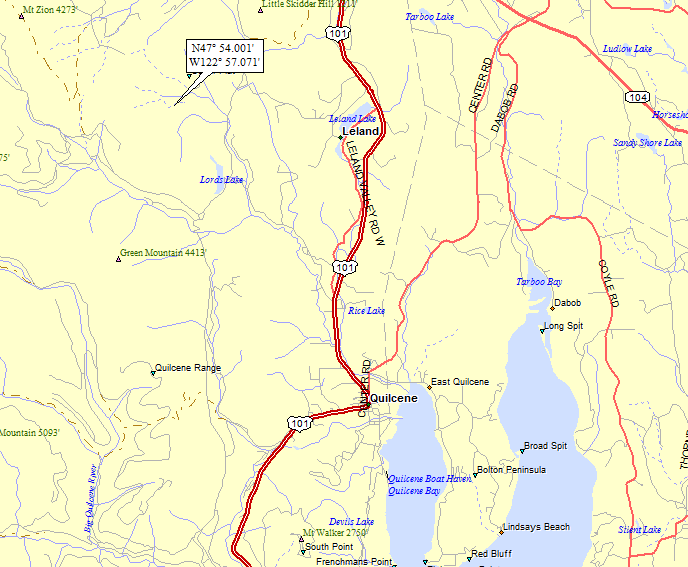 Hood Canal is a fjord forming the western lobe, and one of the four main basins,of Puget Sound. 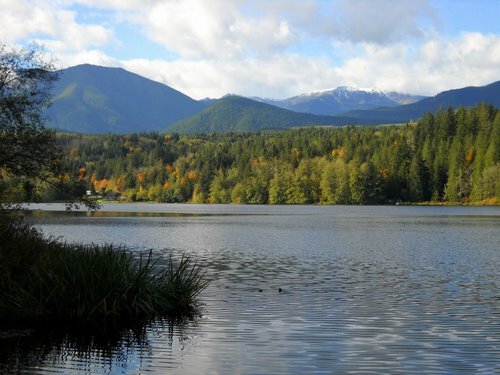 Hood Canal is not a canal in the sense of being a man-made waterway—it is a natural waterway. Hood Canal and the rest of Puget Sound were created about 13,000 years ago by the Puget Lobe of the Cordilleran Glacier Ice Sheet. 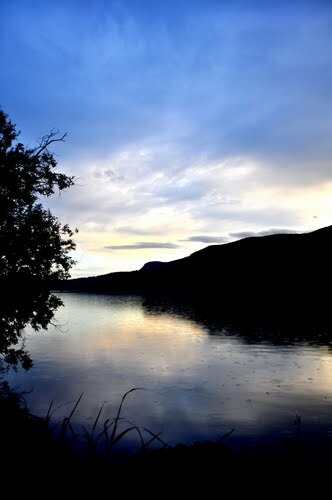 Hood Canal was named by the Royal Navy Captain George Vancouver in 1792, in honor of Admiral Lord Samuel Hood of that navy. 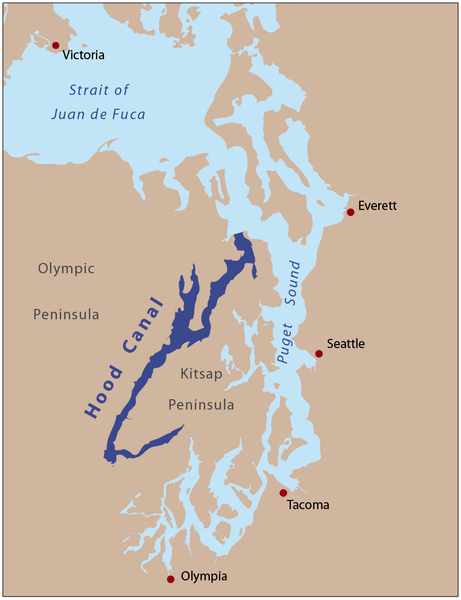 Vancouver used the name “Hood’s Channel” in his journal, but wrote “Hood’s Canal” on his charts. 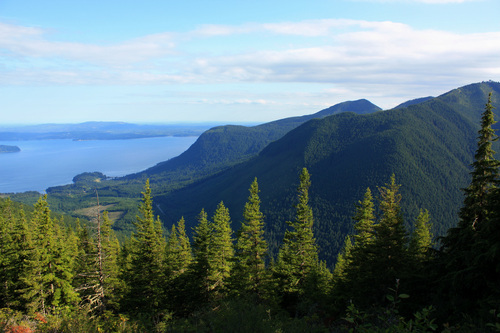 The United States Board on Geographic Names decided on “Hood Canal” as its official name in 1932. 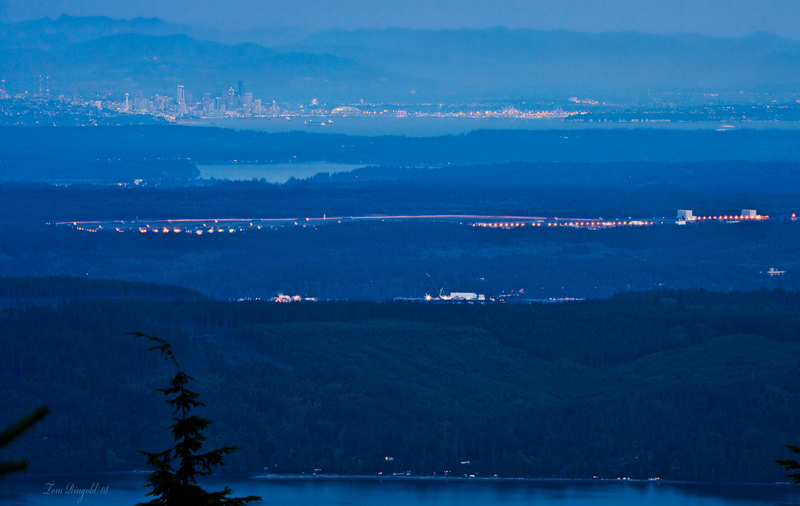 Hood Canal is spanned by the Hood Canal Bridge, the third longest floating bridge in the world at 6,521 feet (1,988 m). 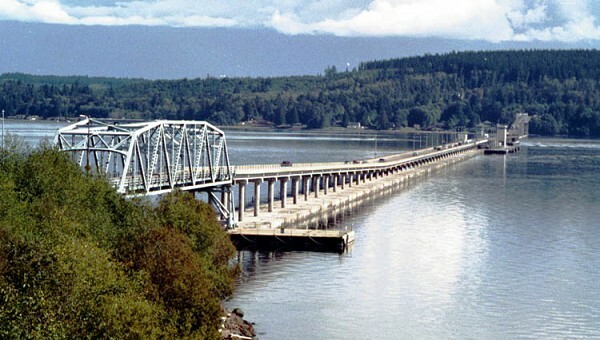 The Hood Canal Bridge accommodates sixteen and a half foot tides. Dan – OK, OK. Before I get to my usual landing schtick, I feel I must say something about this unprecedented break. After all, my last landing (in Spink, SD) was posted on May 6th. May 6th!!! And today is July 1st. I’m pushing a month. “Landing A Day,” hah. No excuses, I just need to get back in the saddle. . .
After a 1/10, just what the doctor ordered, with this landing in . . . TX; 141/172; 2/10; 6; 156.9. 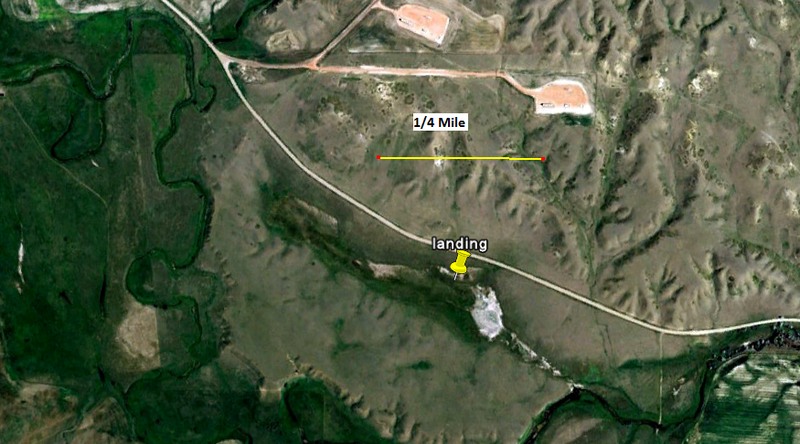 Here’s my landing map, showing I landed near Freer, TX. Even backing out a bit, it still looks a little peculiar. All straight lines and shades of gray. I’m sure this has something to do with alien spaceships, eh? 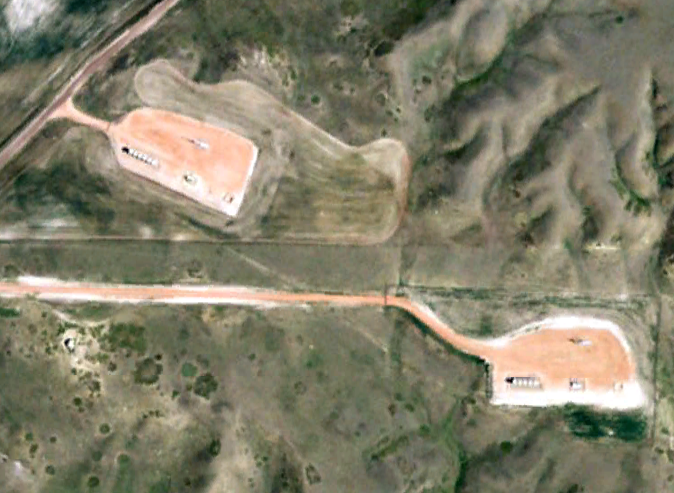 By the way, there’s a “Colmena Oil Field” nearby, which makes me think that the other-wordly lines on the aerial photos has something to do with oil . 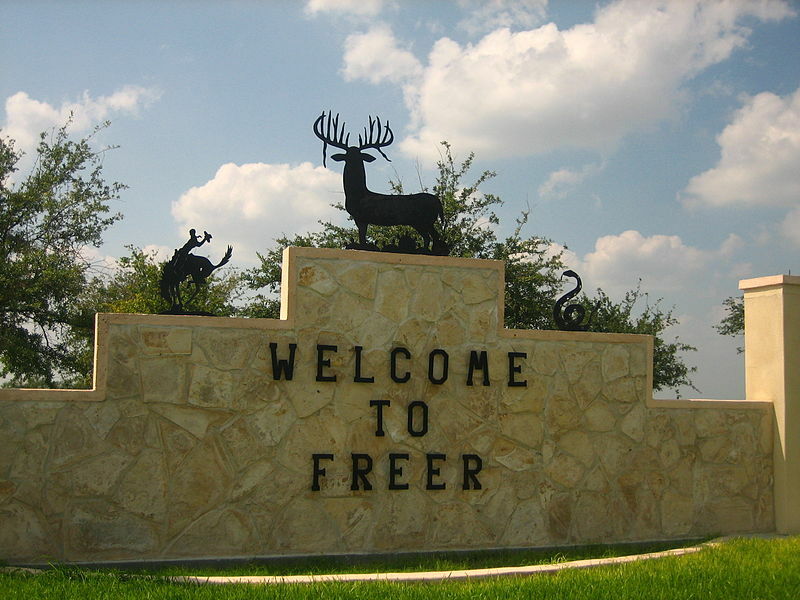 . .
Moving on to Freer – it turns out that back in the early 1900s, there were three landowners in the area, each vying for the naming rights to the new town: the Wendts, the Rileys and the Freers. Well, there already was a Wendt TX and a Riley TX, so Dan Freer was the big winner.